Cologne – The wait is very nearly over! This weekend, the 53rd Bundesliga season kicks off with an absolute highlight. On Saturday evening, all the world's eyes will be on Borussia Dortmund's clash with Borussia Mönchengladbach – the clash of the Borussias; two pretenders to FC Bayern München's throne. 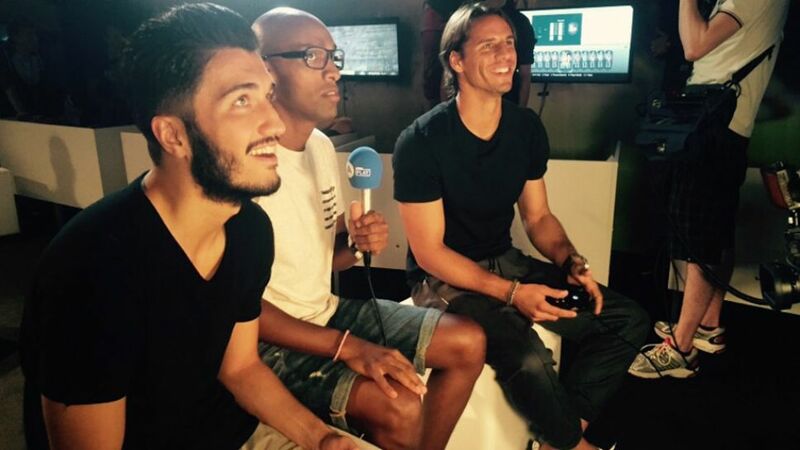 Ahead of what promises to be an intriguing opening battle, bundesliga.com caught up with two of the game's likely protagonists Nuri Sahin and Yann Sommer at the Gamescom fair in Cologne, where they simulated the game on EA Sports' FIFA 16 as a prelude to the main event. bundesliga.com: The battle of the Borussias is the top game of the opening weekend. Nuri Sahin, why do you think BVB will come out on top? Nuri Sahin: Because we're at home. I think we've gained new impetus with the new coach and it's important to start off with a win at home. That's definitely how we'll be approaching the game. bundesliga.com: And how do you see the game going, Yann Sommer? Yann Sommer: It's always interesting to see how the season starts, for both teams. We've had a long pre-season and a lot of new players have arrived, so it's going to be exciting. We're playing in Dortmund and the atmosphere's going to be great, and that's a clear advantage for BVB. But let's wait and see who gets into the game best. I'm eager to find out!